OPPO placed an exclamation point at the end of 2016, as their most popular device, the OPPO F1s, is named as the best selling smartphone in the country for the fourth quarter of last year based on a recent study conducted by research expert GfK. According to the data released by GfK, the OPPO F1s recorded 7.1% and 6.4% of total smartphone units sold in the Philippines from the months of November and December. Those are huge numbers, considering the fact that all sorts of smartphones across from all price segments are accounted for. 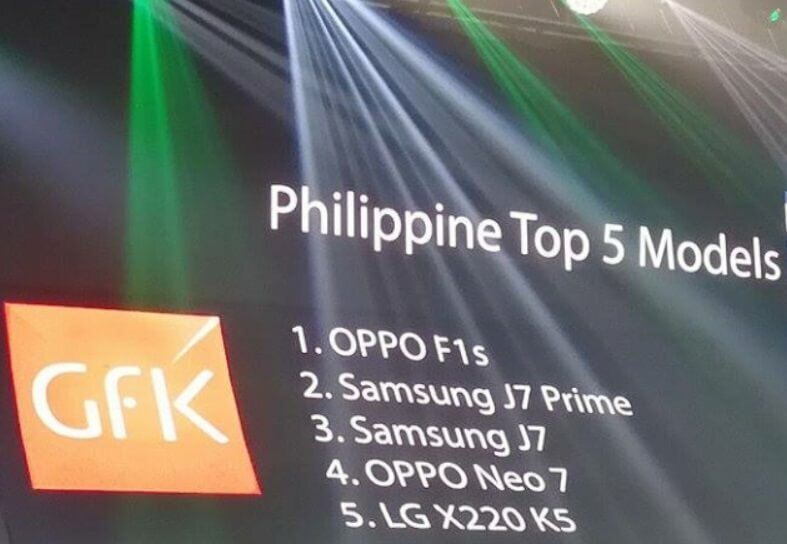 Aside from the F1s, the OPPO Neo 7 also managed to hit the fourth spot, while the OPPO A37 claimed the tenth honor. Meanwhile, the Samsung Galaxy J7 Prime and Galaxy J7 got the 2nd and 3rd spots respectively, while LG K5 placed 5th in the list.